Yeah, the Genuine Article. 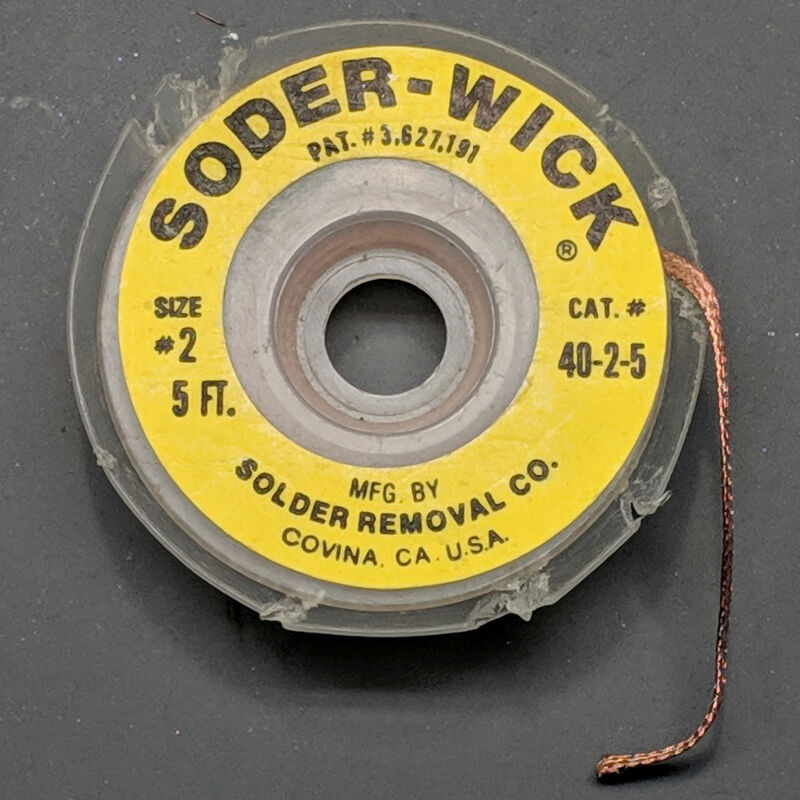 Note the spelling and hyphenation: “Soder-Wick” is a both Registered Trademark® and patented. “Size Good”. I like that. “Made in Taiwan”, though, suggests it’s been in my collection for quite a while. Despite the fact they’re all supposed to be coated with flux, I generally run a flux pen over whatever length I’m using, because it’s the only way to be sure. This entry was posted on 2019-01-24, 07:09 and is filed under Electronics Workbench, Oddities. You can follow any responses to this entry through RSS 2.0. You can leave a response, or trackback from your own site. Flux pen? Any particular make/model you prefer? 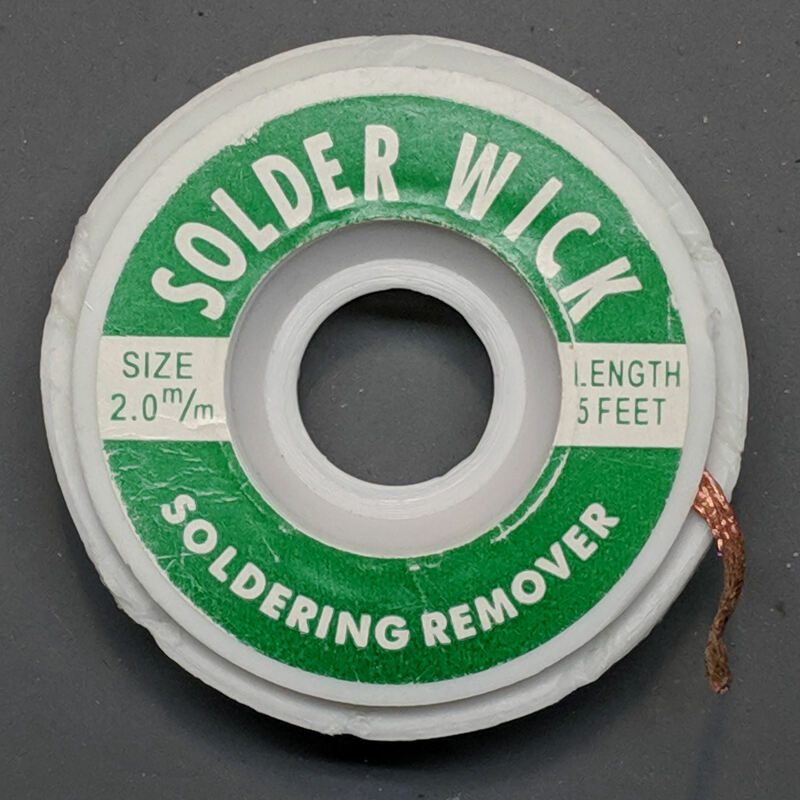 For what it’s worth, Solder Removal Co. was owned by Jesse Hood, a local character… He was real active in the Lions Club. He passed away around 2002, killed by his smoking. He used to show up at the local ham clubs and he’d always toss a few packages of his products – from 1/8 wide to 1/2 inch wide – on the raffle table. He ran the company for about 25 years before selling it in the late 80s/early 90s. His business building is now occupied by a catering service. 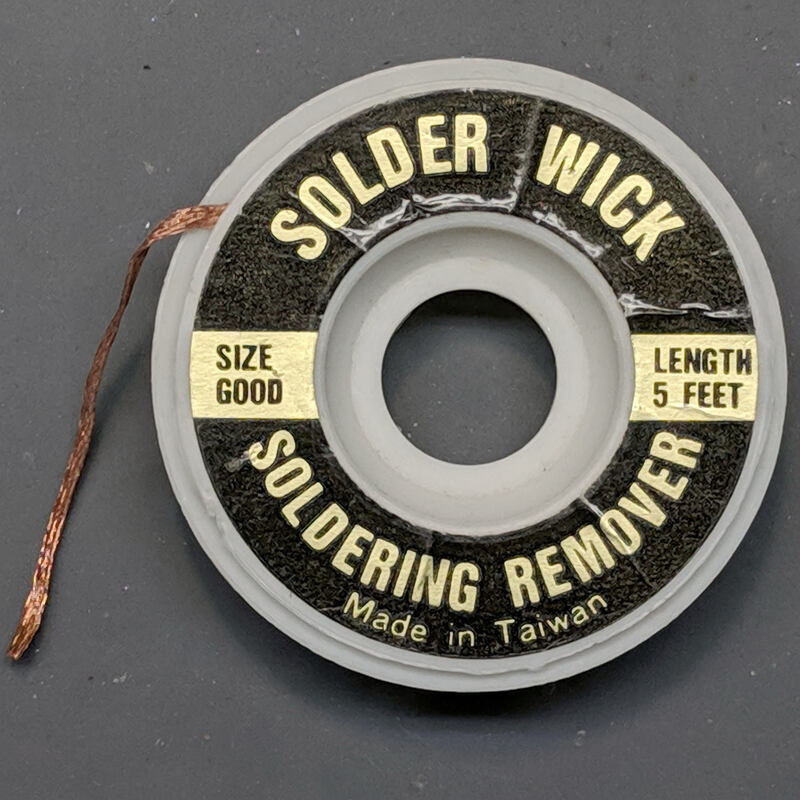 And: half-inch Soder-Wick? I’d be firing up the torch!